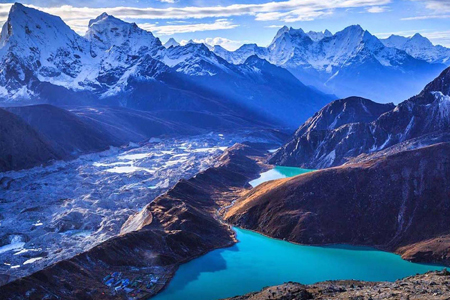 Renjo La, Cho-la and Kongma-la or 3 passes lies in the Khumbu Region of Nepal with the alpine pastures and Lakes of Gokyo or Milk Lake the abode of Lord Shiva. It is a challenging trek taking in three spectacular high passes in one of the most scenically stunning areas. 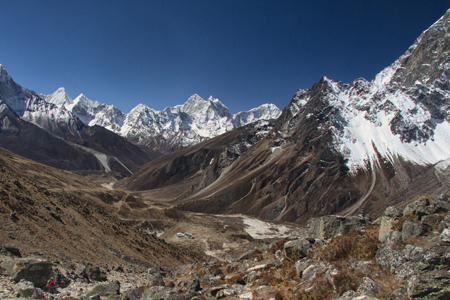 This is the ultimate high-altitude trek, in the world's most spectacular mountain terrain. It's undoubtedly tough – but the scenery provides more than ample rewards. Think of this not just as a trek but more as one of the finest mountain journeys you are ever likely to undertake in your lifetime. It is justifiably popular, but takes you over three little-trekked passes – the Renjo La (5,340m), Cho-la (5420m) and the Kongma La (5,545m), and through the remote Bhote Khosi valley. It provides fantastic views of well-known 7,000 and 8,000m peaks. We have the superb classic objectives of ascending the summits of Kala Pattar for unrivaled views of Mount Everest, and Gokyo RI, offering panoramic views of Cho Oyo, Mount Everest, Cholatse and many more Himalayan giants. 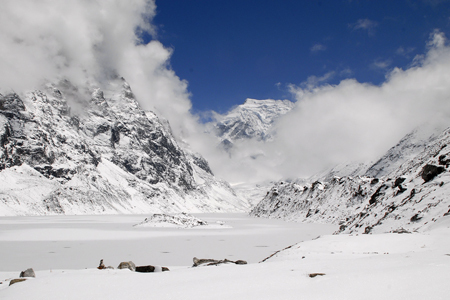 We also cross the challenging and often snow-covered Cho La pass, which links these valleys. While you are on this trek, you can see the outstanding and majestic views of Mt. 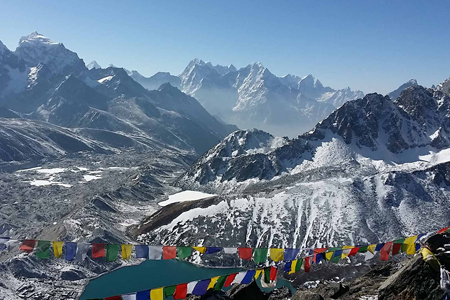 Everest, Cho-Oyu, Lhotse, Nuptse, Pumori, Amadablam, Lobuche and other many more mountains from Kalapathar and Gokyo-RI top. . From this point we take the trail to Lobuche, crossing the Cho La pass (5420 m) and join the small village of Dzongla. After the ascent of Kala Patthar (5545 m) and the impressive up-close view of Everest, our return route passes through Kongma La (5535 m) or the Imja Tse Valley. 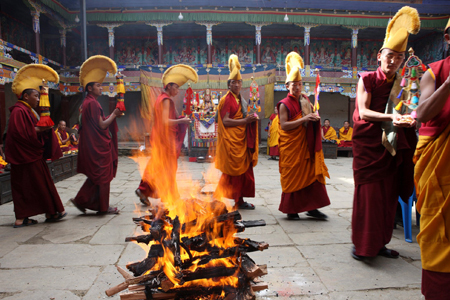 While going down, we stop in Tengboche, a magnificent location with a fascinating monastery. 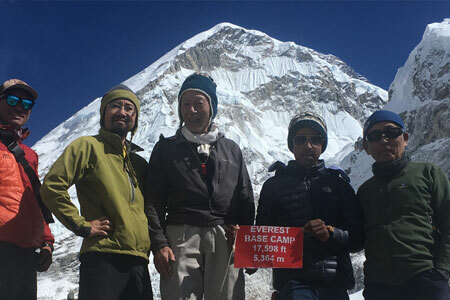 We rest here and savor the incredible scenery, including magnificent views of Everest, Ama Dablam (6856m), Kantega (6809m), Kwangde (6194m), Nuptse (7879m), and Lhotse (8511m), to name but a few. Day 01 : Arrive in Kathmandu, transfer to hotel and welcome dinner. Day 21 : Transfer to International Airport and fly home.